For our new Iconic Images City Spotlight Series, we decided to start with what we know and love best, our hometown of Charleston, SC. We love this city so much that we decided to base our company here all those years ago, and now we want to share with you some of the city's most iconic locations, and images from both past and present. Plus, if you're planning a visit, we've included some helpful travel tips to ensure you make the most out of your trip to "The Holy City." Charleston, South Carolina is a major port on the Atlantic coast that prides itself on being a charming, historic center of Southern culture. First settled in 1670, it was originally called Charles Towne, for King Charles II (King of Great Britain & Ireland). Since its founding, Charleston has grown to be the hub of a large urbanized area that includes Mount Pleasant, North Charleston, Hanahan, and Goose Creek. The city is situated on a peninsula between the estuaries of the Ashley and Cooper rivers, facing the harbor. 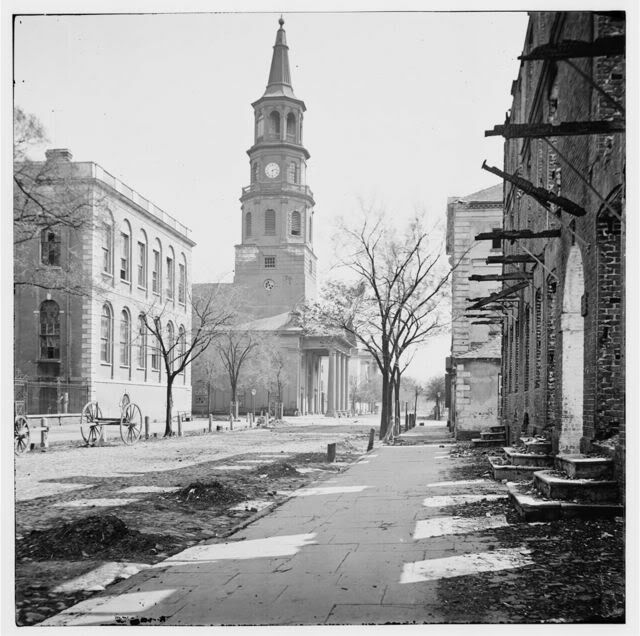 In its infancy, Charleston served as a commercial center of trade for rice and indigo. 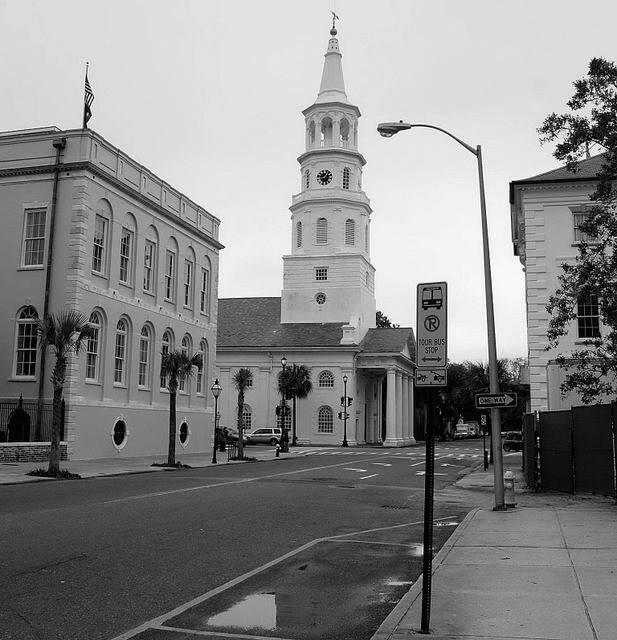 Following freedom from British trade restrictions as a result of the American Revolution, Charleston prospered as the chief winter port of the United States until the War of 1812. Charleston operated considerable trade routes to and from the Caribbean, exporting cotton and rice, among other things. 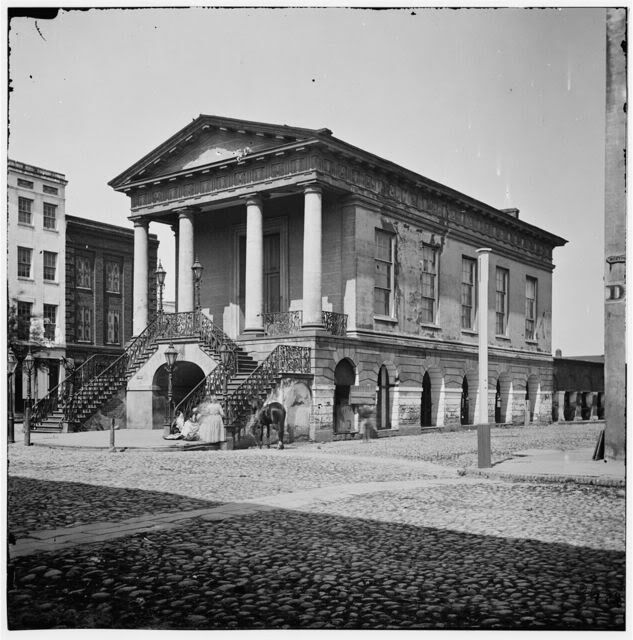 Despite complications from multiple wars including the Civil War and World Wars I & II, Charleston continued to prosper. At present day, there are over 761,000 residents, with 45 new residents arriving daily. The largest public sector employer is Joint Base Charleston, while the largest private sector employer is The Boeing Company. Major exports include transportation equipment and computer/electronic products. With a brief history of Charleston, from founding to present day under our belt, let's explore some of its most iconic destinations to visit. 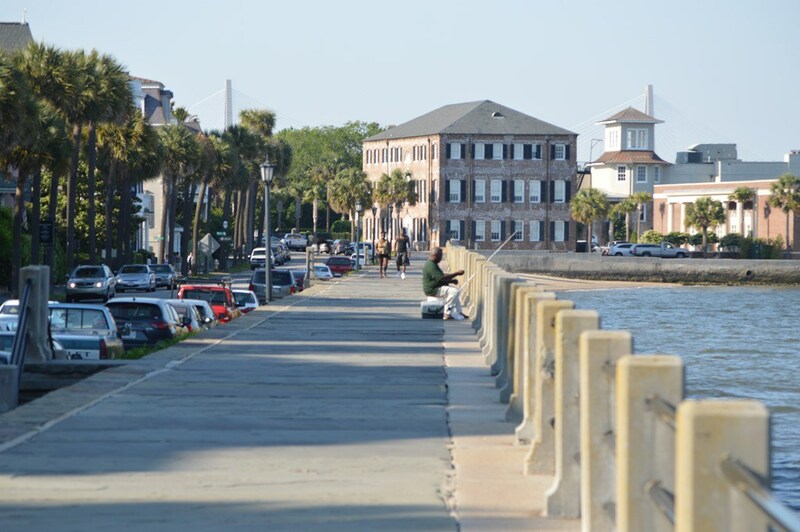 Arguably one of the most popular spots to visit in Charleston, both for its history and beauty is The Battery. 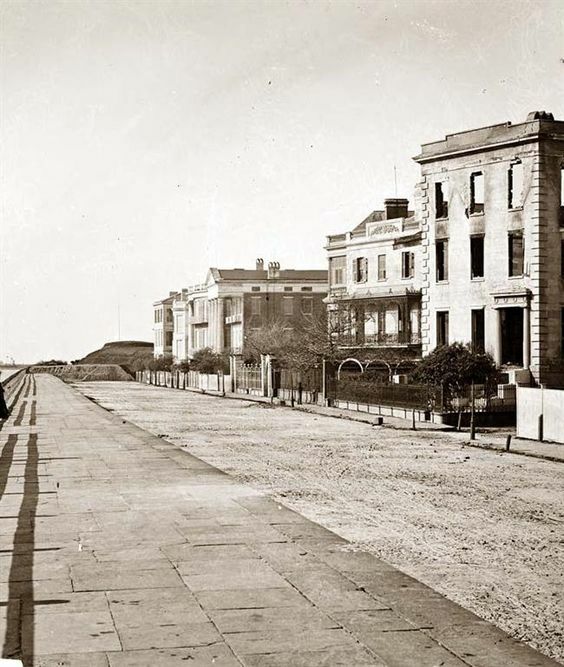 The Battery is both a landmark, and defensive seawall used to protect the port city during the Civil War. It has since become a destination for locals and visitors alike to enjoy a picnic, a stroll, or a great view of the harbour. Several other popular landmarks can be viewed from The Battery, including Fort Sumter, Castle Pinckney, the World War II aircraft carrier USS Yorktown, Fort Moultrie, and Sullivan's Island. One of Charleston's many nicknames is "The Holy City," and for good reason. Not only has it been credited with considerable religious tolerance since its founding, but it is home to over 400 houses of worship today. In the early days, the towering church steeples in the skyline helped ship captains identify the town and safely guide their ships into port. No doubt, some of the credit for the city's nickname can be attributed to this as well. With so many beautiful and historic churches to choose from, we decided to feature Charleston's oldest church structure, St. Michael's. Though the Anglican church was originally named St. Philip's, the congregation quickly outgrew the small church, and upon rebuilding, it was renamed St. Michael's. Little change has been made to the structure since the cornerstone was laid in 1752, except for the addition of the sacristy in 1883. The church now stands at 186 feet high. Another place of note and point of interest is the City Market on Market Street. 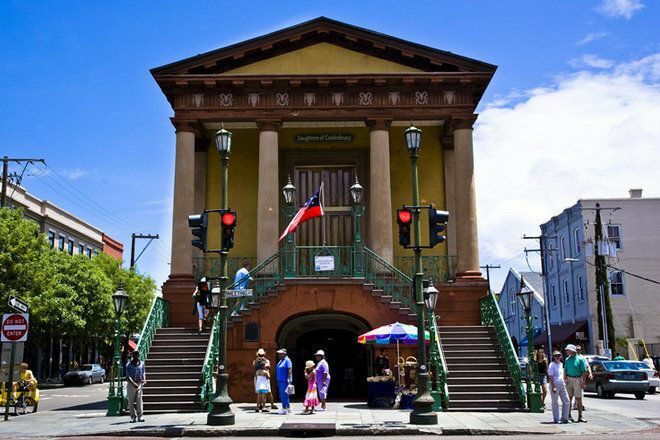 Though there exists a common misconception that this market existed for selling slaves, it was actually the city's first public market, also known as the "Beef Market." It is commonly agreed to be one of the country's oldest standing markets. Now, however, it is a bustling shopping center for tourists seeking wares and gift items from local artisans, including the iconic Sweet Grass Baskets, for which the city has earned another nickname, "The Big Sweet Grass Basket City". Another must-stop, must-shop, and must-see in Charleston is King Street, where many of the cities finest retailers can be found. Lovely restaurants, cafes, bars, and galleries are also located along this main Charleston thoroughfare. Though many businesses have come and gone, King Street remains the epicenter of Charleston shopping. The last, but certainly not least iconic destination in Charleston is Rainbow Row, a series of thirteen colorful historic houses located on East Bay Street in downtown Charleston. It represents the longest cluster of Georgian row houses in the United States, and is considered one of the most photographed parts of the city. - Fuel - Refined pub eats with Caribbean twists in a repurposed 1950s-era gas station with a big patio. - Poogan’s Porch - Traditional Southern cooking served in a Victorian townhouse with porches & a massive wine cellar. - Husk - An ever-changing menu of locally sourced Southern dishes served in a restored Victorian-era home. - Fiery Ron’s Hometeam BBQ - Accommodates every appetite with traditional authentic BBQ, ribs, chicken, pulled pork, finger lickin’ sides and tasty desserts. - Magnolia’s - A refined take on traditional Southern cooking, served in a warm, sophisticated environment. - Magnolia Plantation & Gardens - is a historic house with beautiful gardens, babbling brooks, and great views. - Fort Sumter National Monument, which commemorates the first shot fired in the Civil War, is located about 3.5 miles southeast of Charleston, in the bay.